Louisiana has 150 designated opportunity zones, including 145 low-income communities, plus 5 non-low-income contiguous tracts. 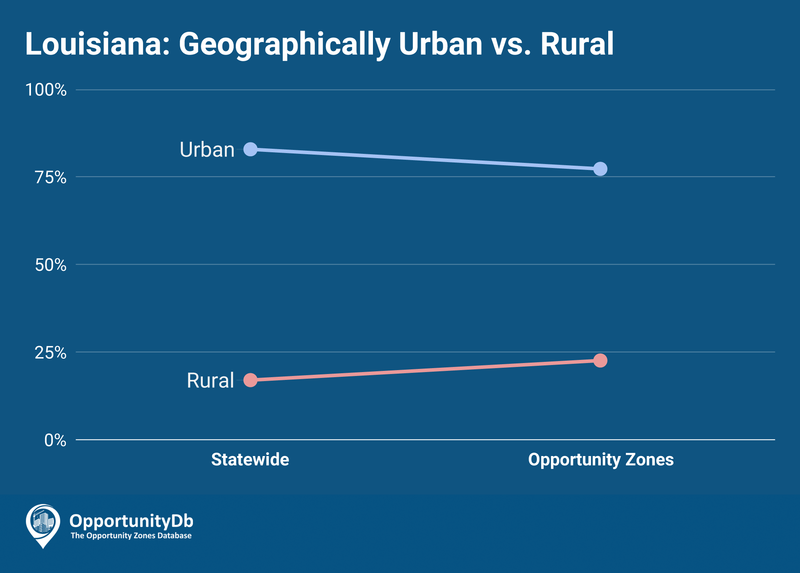 The majority of Louisiana’s opportunity zones are located in urban areas of the state — 77 percent urban vs. 23 percent rural, a composition not too different from the statewide totals. Many of the state’s opportunity zones are clustered in and around the major cities of New Orleans and Baton Rouge; though there are few in Shreveport.